Buffalo Souljah up in arms -Zim does not value my efforts -Why only Kirsty, Chidzonga? South African-based dancehall star Buffalo Souljah, real name Thabani Ndlovu (pictured right), broke his own record over the weekend when he bagged yet another Channel O Music Video Award in The Most Gifted Reggae Dancehall category. Winning against Basawine Orezi (Nigeria), Patoranking (Nigeria) and Shatta Wale (Ghana), he remains the only Zimbabwean to get 12 nominations at the regional awards and winning six times over the last 10 years. Now the Mufakose-bred musician has embarked on a campaign to get recognition in the country and will be writing an open letter to the President. In an interview with The Herald, Buffalo Souljah said he was not going to remain silent when he continues to be ignored despite raising the country’s flag in a discipline that has the same magnitude as the Africa Cup of Nations. “Mwana asingachemi anofira mumbereko. I’m proudly Zimbabwean and have been bagging awards and raising the country’s flag for the last 10 years without any recognition from my country. “I am marketing the country to over 50 million viewers across the continent and that is why I am requesting for the same acknowledgement that the likes of Kirsty Coventry and Munyaradzi Chidzonga have received in the past,” he said from his base in Mzansi. 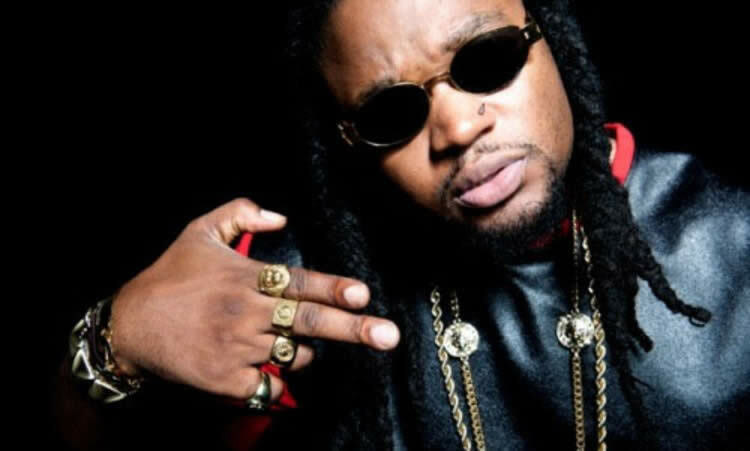 While he posted his request on his Facebook page, Buffalo Souljah said his team was in the process of penning an official open letter to the President. “It is hard to come out in the open here and say where you are from since there are always people who hate you for it. Because of that many others who are making it beyond our borders choose not to acknowledge their Zimbabwean roots or associate themselves with anything Zimbabwean,” he said. Besides the prestigious Channel O Awards, he also takes pride in his Nigerian Sound City Viewer’s Choice Award and Africa Music Awards nomination under his belt. He, however, said although some people think he permanently resides in South Africa, he is in Zimbabwe most of the time, visiting his mother in Budiriro or their rural home in Zvimba. Meanwhile, Buffalo Souljah announced his retirement from music, signing out with a 23-track album, “The Chosen One”, last month. He said after years of “hustling to stay relevant” he was now working behind the scenes and pushing upcoming artistes through his record label United States of Africa. The stable is home to Vanessa (Queen Vee) Sibanda and Lil Wayne look-alike Antonio “Young Nucho” Kalembe from Angola, among others, and has Buffalo Souljah as producer. His new accolade has not deterred the 34-year-old musician, who was discovered by the late Prince Tendai, from quitting music.